I'm back with another Autumnal post (no surprise there!). I've talked about Autumn Eye Shadows, Autumn Lipsticks, Autumn Candles and now it's time for my Autumn Nail Polish. I want to talk about one brand in general Maybelline. Maybelline sent me three of their new Preppy Woman shades and I have fallen in love with them! At the moment I'm wearing Runway Rose, it's the most beautiful warm neutral shade. This is so perfect for Autumn time. I love these earth neutral hues, they look great with any outfit! I've been wearing Top Coat Tweedy on my ring finger to give my nails a bit more of a shimmering, festive look. Thanks to the gold and silver 'shred' like specs, Top Coat Tweedy will look great with a million different shades and finishes, it's especially perfect for this time of year with all the festivities! 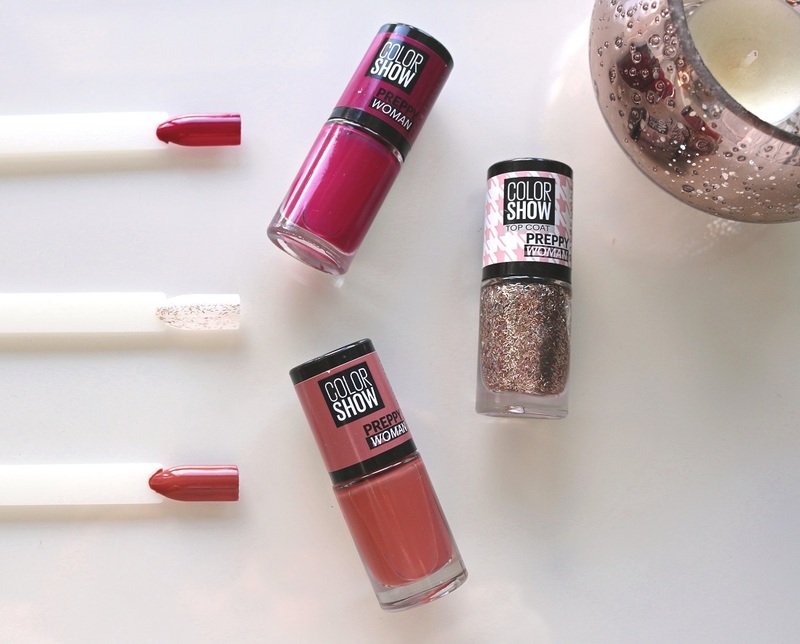 If you're looking for the perfect autumnal nail polishes, then check out Maybelline's new Colorshow Preppy Woman collection beauties! These colours are so gorgeous and perfect for the autumn! !